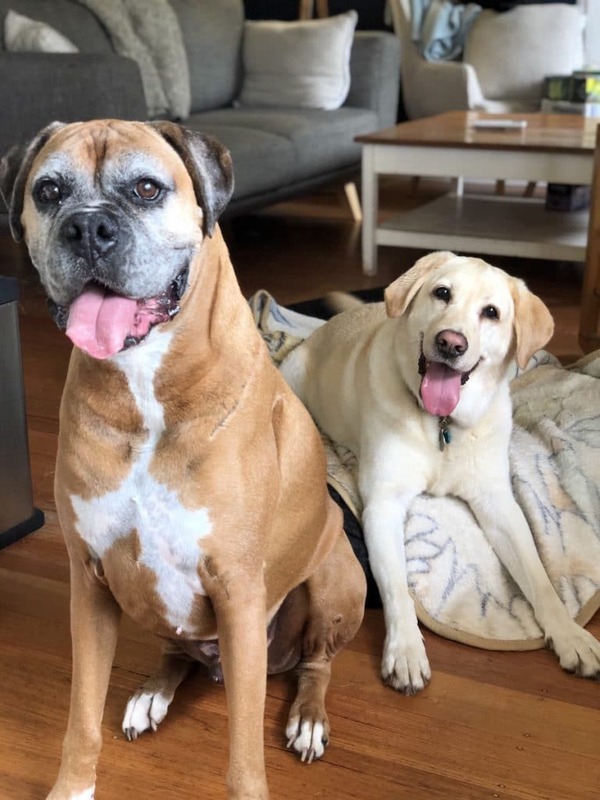 Fur Babies weekend away…Rowdy and Winstons Story. 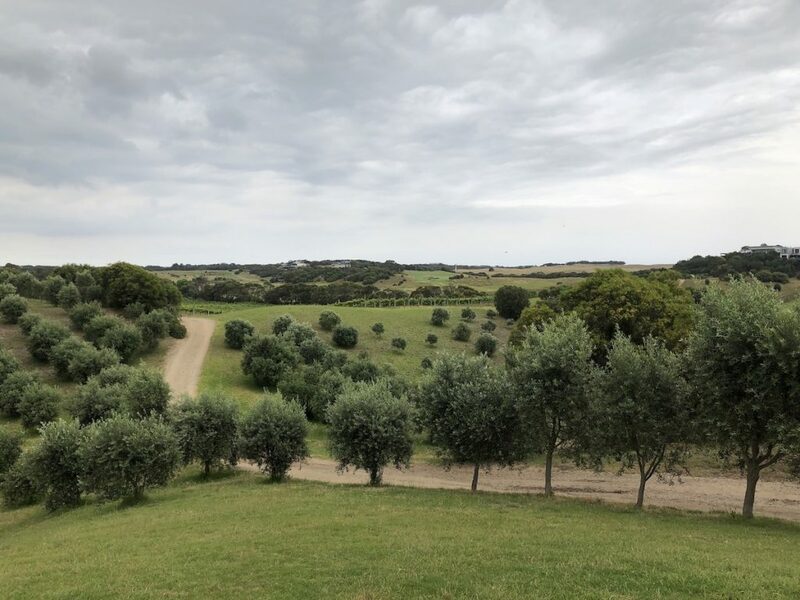 We enjoyed a lovely escape with our friends and their fur baby at St Ives Cottage, a cozy 2 bedroom cottage in Rye on the beautiful Mornington Peninsula. It had everything we needed, and the 2 dogs had the time of their lives, running around and playing in the huge backyard. Unfortunately there was a bit of rain and patchy weather over the weekend of our stay, so we couldn’t get out as much as we wanted to, but the fully equipped kitchen meant we were able to cook our own lazy breakfasts (with tasty breakfast ingredients provided), and we spent our evenings playing board games and talking well into the night over wine. Despite the gloomy weather, we couldn’t stay in Rye without a trip to the beach! We drove to Number Sixteen Beach so that our dogs could enjoy a swim and say hi to the locals. 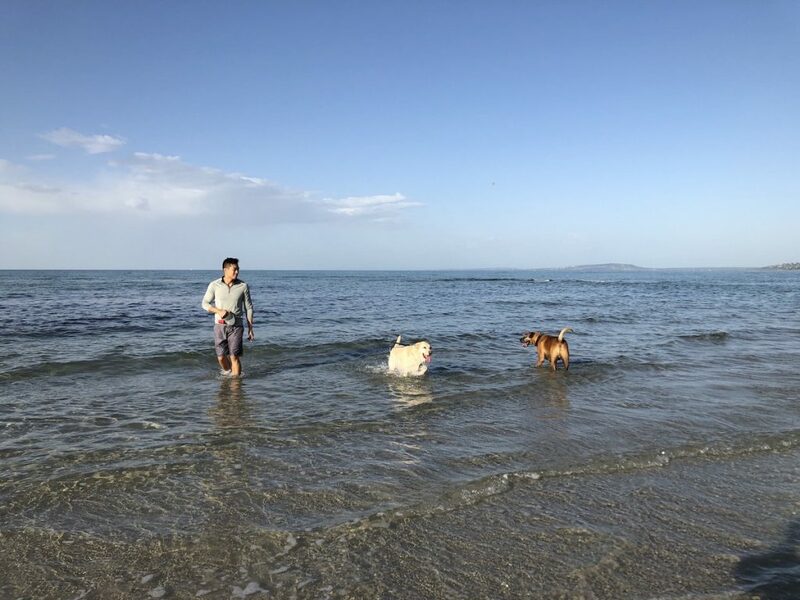 This beautiful beach is one of our favourites – clean and quiet with long stretches of shallow water for those of us wanting to get our feet wet. We might have been unlucky with the weather, but boy did we eat well! On our first night, we had dinner at Xpress Gourmet Pizza, where we enjoyed huge pizzas overflowing with generous toppings. The following day we had lunch at The Cups Estate, a gorgeous vineyard with a cellar door, an intimate restaurant and beautiful views. 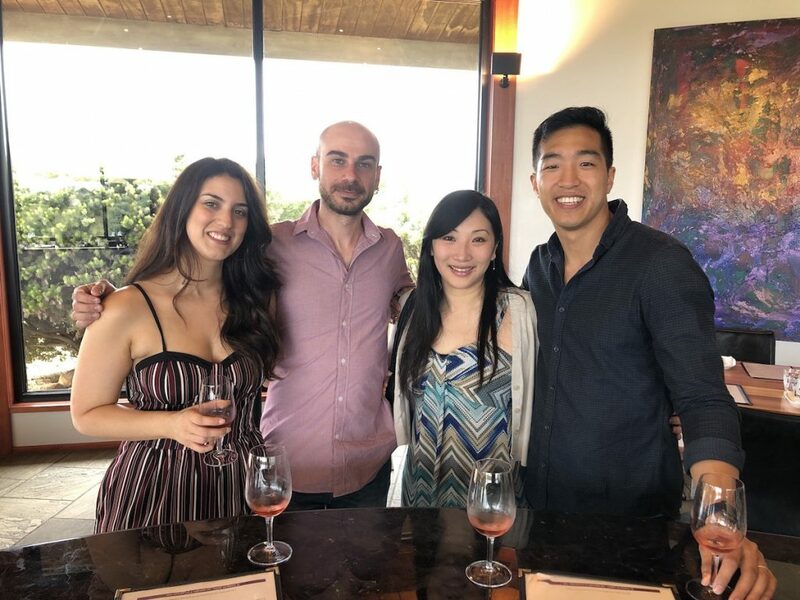 There we enjoyed a wine tasting and had a delicious lunch while taking in the stunning scenery. With our bellies full, we continued on to the Old Apple Shed, a rustic cellar door and winery which specialises in cider and ginger beer. We enjoyed (a very generous) wine and cider tasting, while grazing on a massive charcuterie board, and left carrying bottles of their delicious cider. 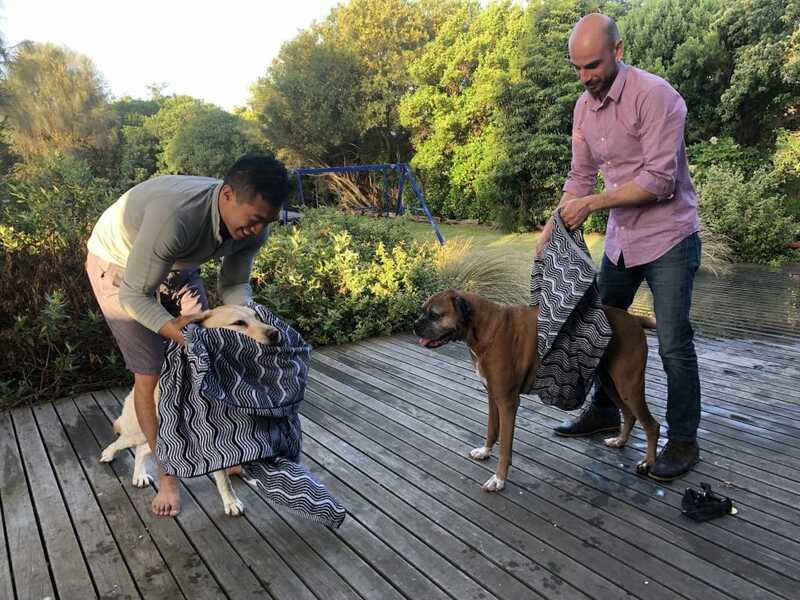 The highlight of our visit was being able to unwind with friends over good food and wine, and watching how much our 2 dogs loved the weekend too! It’s so nice to get away with our fur baby and have him join in the fun instead of leaving him at a boarding kennel and missing him.